You love the looks, now learn what went on behind the scenes! There are a lot of pieces that go into making a film. The director, the actors, the lighting design, the editing, heck even the caterer. Without a doubt, part of an iconic film is the iconic costume design. Costumes help fill out the world that the film is creating, and they say something about the characters without using words. Guff is proud to present the history behind eleven costumes that have inspired film makers (not to mention, Halloween costumes) for years and years. Dorothy's dress isn't actually a dress. It's a gingham apron, covering a shirt. Several versions of this ensemble were made during the production of The Wizard of Oz. Some were never actually in the film and were simply "test" dresses (NPR). A common misconception about The Wizard of Oz is that the Kansas scenes are in black-and-white, when in actuality they were filmed in sepia tone. 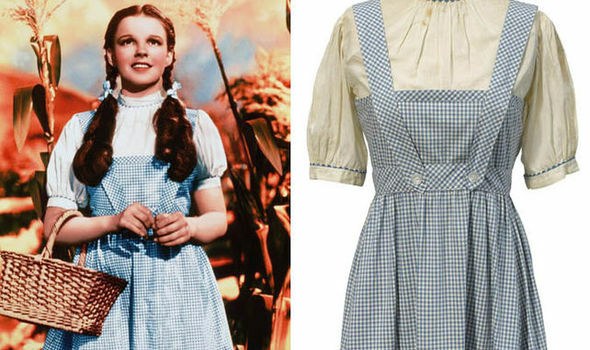 There's a sepia version of Dorothy's outfit, which was used in order to film the famous moment when Dorothy opens her Kansas house's door and take her first steps into Oz. This was achieved by filming a stand-in wearing the sepia dress while she opens the sepia-painted door. Once sepia-Dorothy is out of sight from the camera, Judy Garland walks through wearing the blue dress. Movie magic! Gone With the Wind could also be called Having Horrible Taste in Other Men While Clark Gable is Standing RIGHT THERE, but I digress. Scarlett has a multitude of eye-catching outfits, but none as unique as her famous curtain dress. For the book, author Margaret Mitchell was originally inspired by the velvet curtains hanging in her great-grandmother's home. 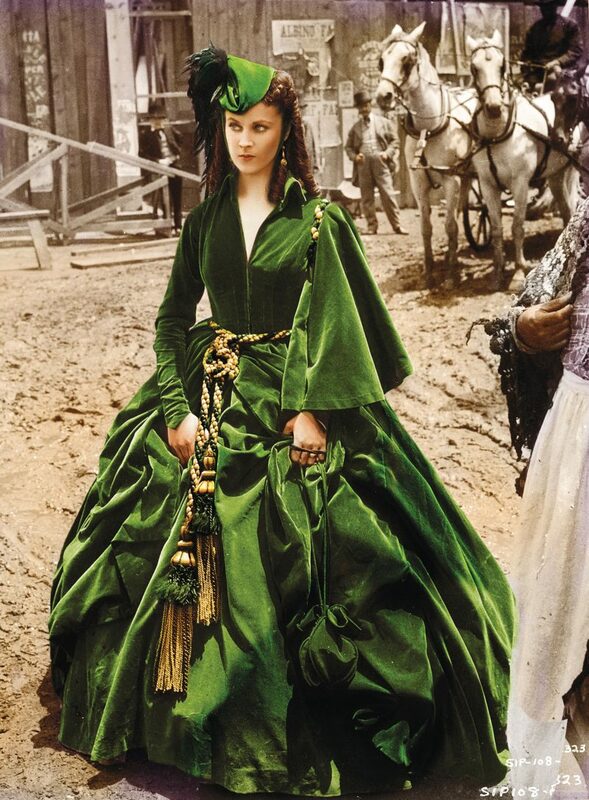 For the film, costume designer Walter Plunkett enlisted the help from the Daughters of the Confederacy in order to make Scarlett's ensemble look period-appropriate. The dress was supposed to look faded (like how a real curtain's colors will fade from being exposed to the sunlight), but the look didn't really translate in Technicolor. 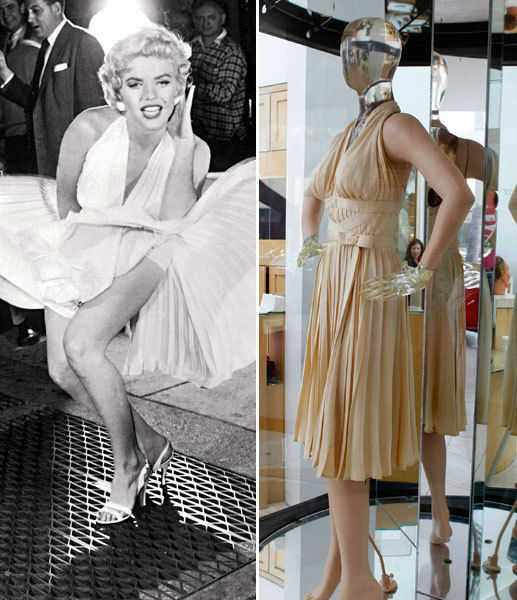 Marilyn's famous white pleated dress has yellowed over the decades (that's just what happens as some white fabrics fade). But it's still as sassy as ever. For a long time, it was owned by Debbie Reynolds but in 2011, it was sold at an auction for $5.6 million (it was originally expected to sell for $2 million, but never underestimate the allure of Monroe). The famous skirt-blowing scene was actually the result of set photographer Sam Shaw recycling a previous idea. According to Biography.com, "The idea originated from an earlier photo shoot that Sam orchestrated in the 1940's (sic) for Friday magazine. It featured a sailor and a young girl at Coney Island playing in a wind tunnel. A playful photograph showing the girl's skirt moving from the wind appeared on the cover and the magazine sold out immediately. Over a decade later, when Sam read the script for The Seven Year Itch, he saw a chance to revisit this "skirt-blowing" idea and turned it into one of the most memorable images ever created." Vader's look was influenced by World War II. Costume designer John Mollo took inspiration from Nazi uniforms, AKA another terrifying empire. 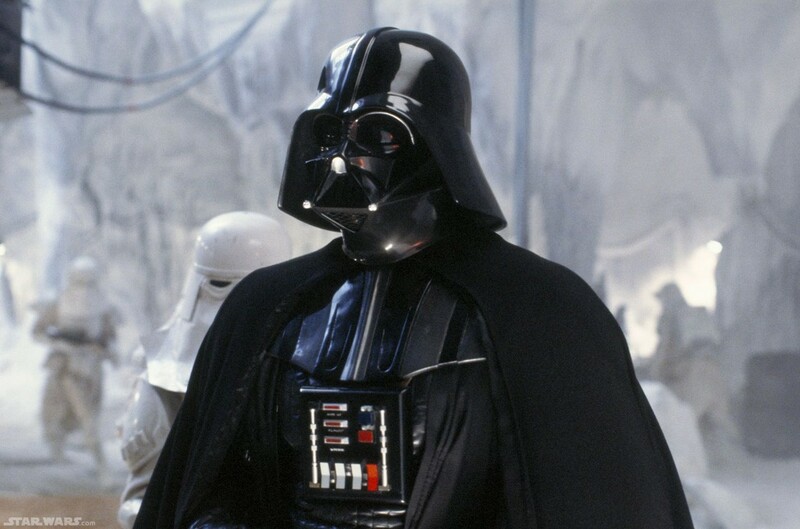 Vader's costume evolves throughout the films. In The Empire Strikes Back, his armor features working lights and different colored buttons, and his helmet's vent is bigger. The mask throughout the original trilogy is slightly asymmetrical, a flaw that they fixed in the prequels according to the Revenge of the Sith bonus features. Many people claimed that the infamous Slave Leia costume happened because Carrie Fisher complained about how frumpy the Princess' costumes were in prior films. Fisher denied this on her Twitter, so let's put the rumors to rest. They used different versions of the bikini, depending on the scene. For scenes where Leia sat still, it was metal. For action scenes, she wore a rubber one that was comfortable enough to move around in (Wired). The bikini was lined with leather, so that it wouldn't chafe (there's no Vaseline in a galaxy far, far away). This list could've easily been ONLY about outfits that Audrey Hepburn wore, but for inclusion's sake let's just focus on one. The Givenchy dress in Breakfast at Tiffany's practically defined the "little black dress," now a wardrobe staple. Hepburn considered Hubert de Givenchy her "best friend" and they frequently collaborated together. Givenchy's original design revealed a lot more leg, which was deemed unsuitable for the film. Edith Head redesigned the piece, which is the version we see on film. While there are several versions of Givenchy's original dress floating around, the Edith Head version that was used in the film was destroyed soon after the film finished shooting. 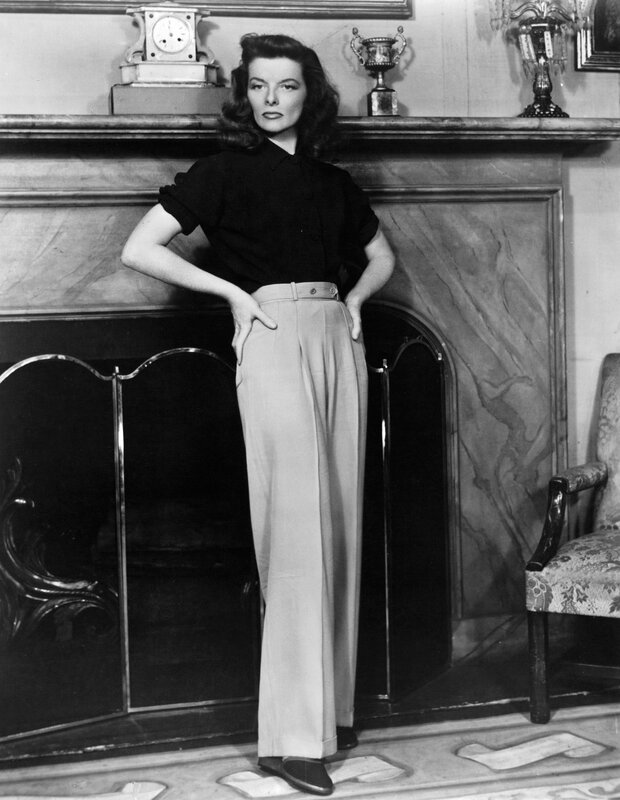 The Philadelphia Story featured Katharine Hepburn in menswear, while still looking absolutely glamorous. At the time, women rarely wore pants, but Hepburn said "Eff that" and is forever credited with changing women's fashion. Hepburn put a lot of blood, sweat, and tears into The Philadelphia Story. At the time, she was considered "box office poison" because of several failed flicks. Her contract with RKO was dropped and in the late 1930s, she was on her own. In 1940 she bought the stage rights to The Philadelphia Story and sought to turn it into a feature film. Without any studio restrictions, she hired designers on her own and created box office, and fashion, gold. (NYCitywoman). Costume designer Colleen Atwood had a lot to go off of when it came to figuring out Edward's look. 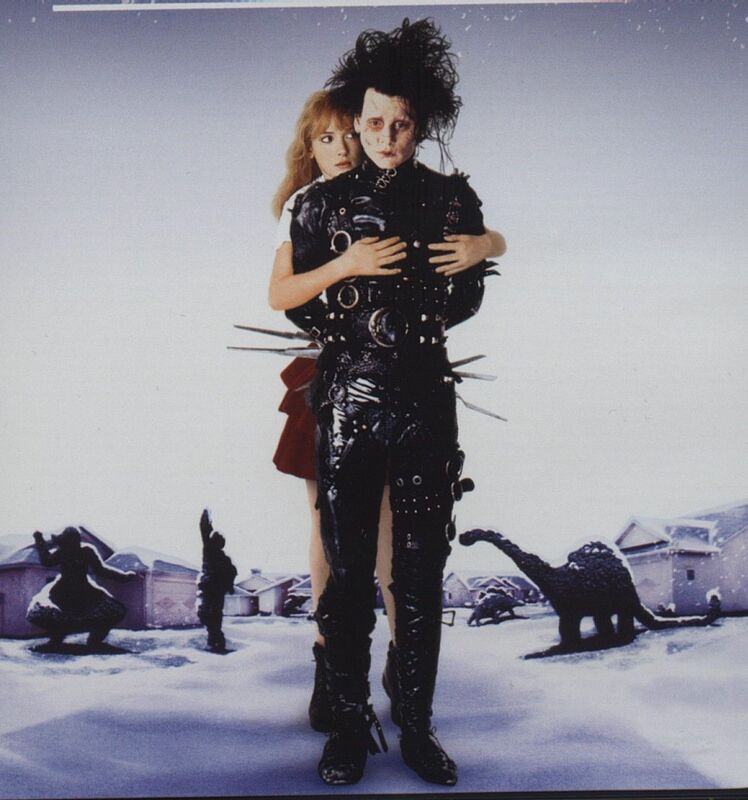 Director Tim Burton had already sketched out his interpretation of Edward, and much of the character's final design is based on that drawing (Stylenoir). Tim Burton said that Edward's look is a mixture of Charlie Chaplin's Tramp character and Frankenstein's monster. Atwood also "pulled a lot from the 19th century," which is probably why the film is so timeless. Collarless sweatshirt became all the rage in the '80s, and it happened by accident. The sweatshirt is Jennifer Beals' own sweatshirt. It shrunk in the wash and in order to get the thing to fit over her head, she snipped off the collar. Unlike when my parents tell me that something was secretly an accident, this one makes me smile! 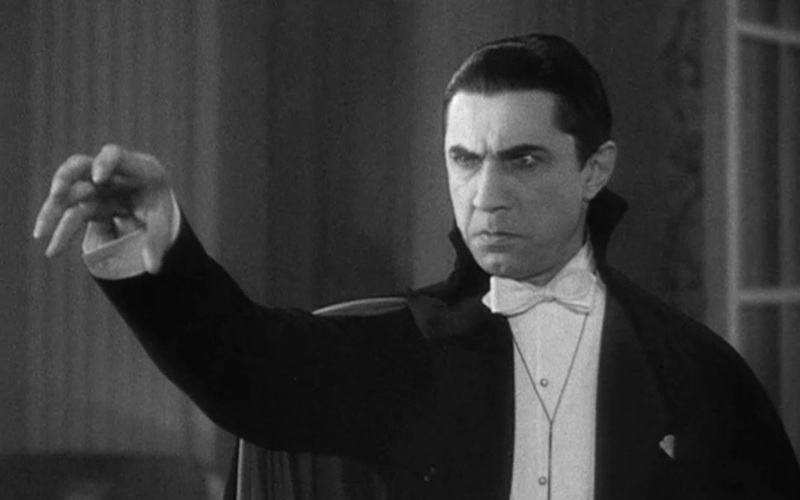 The tuxedo/cape combination for Dracula is practically a cliche, but that cliche had to originate somewhere, right? Right. Early interpretations of Dracula make him look shabby and very un-seductive — the opposite of modern interpretations. That changed when a stage version of Dracula premiered in London in 1924, adapted by Irish actor/playwright Hamilton Deane. Raymond Huntley played Dracula, and was the first to portray the character in a tuxedo (legend has it that he provided his own costume). A few years later, the play was brought to America, this time with actor Bela Lugosi playing the Count. He went on to play the same role in the 1931 feature film, forever popularizing the character (Smithsonian). Rita Hayworth in her show-stopping Gilda dress was the inspiration behind Jessica Rabbit's design in Who Framed Roger Rabbit? Hayworth's dress was designed by Jean Louis, Hayworth's frequent collaborator. Louis' design was influenced by "Madame X," a socialite in Paris as well as Hayworth's own hourglass figure. The film became such a sensation that one of the first hydrogen bombs for World War II had the name "Gilda" written on it. This is because photos of Hayworth were such a favorite among homesick soldiers. These Disney-inspired costumes are simply magical. The history of cosplay is as fascinating as it is nerdy! What's cuter than babies dressed up as old people? As it turns out, pretty much nothing. It's okay, these people died years ago.